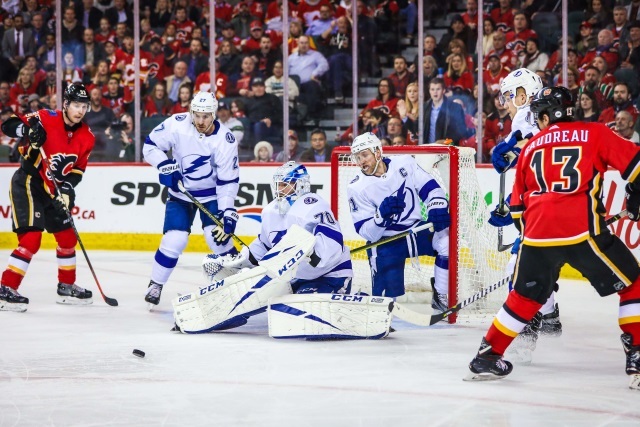 Broken record … The Tampa Bay Lightning and Calgary Flames are the top two teams again. The Winnipeg Jets took five of six third-place rankings and remain at No. 3. The San Jose Sharks and New York Islanders don’t move either and hold down No. 4 and 5 respectively. The Ottawa Senators fall one ranking short of sweeping all last place votes. The Los Angeles Kings and Detroit Red Wings don’t move and sit at No. 30 and 29 respectively. The Chicago Blackhawks and New Jersey Devils flip flop spots and round out the bottom five. * We’ve taken power rankings from six media outlets this week, dropping the highest and lowest. To get our consensus NHL Power Rankings point totals, we awarded the top team 31 points, the second team 30 points, third team 29 points, etc.